Starting back in River Island is great- it means I get to see all the newest products first thing when they land into the store! 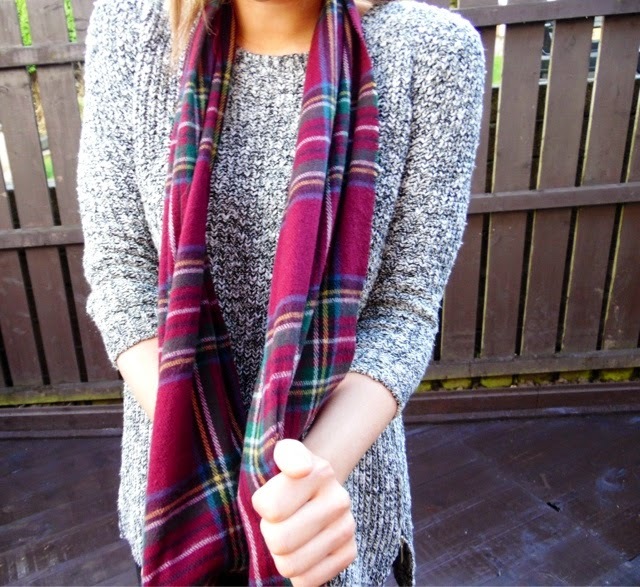 This scarf is selling out everytime it comes back in, it's so popular. 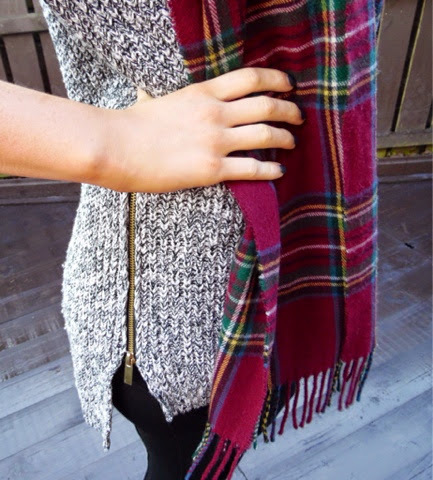 But any wonder, it's the top colour of the season and it's tartan, what could be a better combination?! It's the softest material as well, so it's extremely comfortable when you put it on. 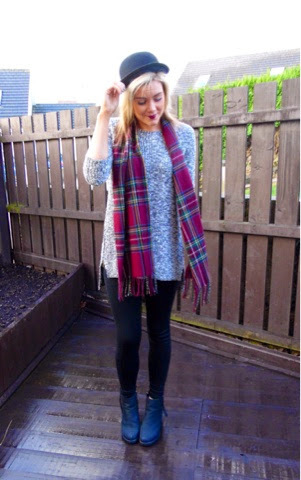 I would usually just go for plain leggings from River Island, but seeing as it's freezing outside, I thought I would try these thicker ones and they are fantastic, they are super tight when you first put them on, but have Elasticated sides so are roomy when you eventually get them on- also a lot warmer than normal leggings! I know I say this about a lot of footwear I own, but these are honestly the comfiest pair of boots I own, they are lined with a fleece material and the chunky heel make them so easy to walk in- especially if I'm in them all day.